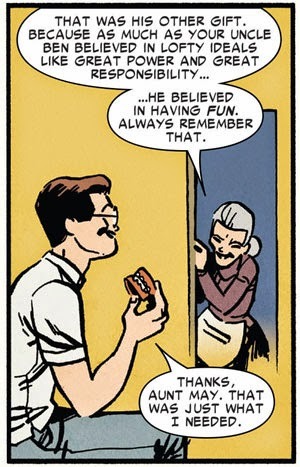 I think Stan should be commended on his patiance with Jack's dopey character ideas! 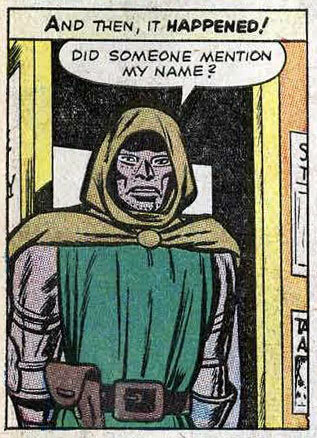 "Dr. Doom! But -- but how...?!?" 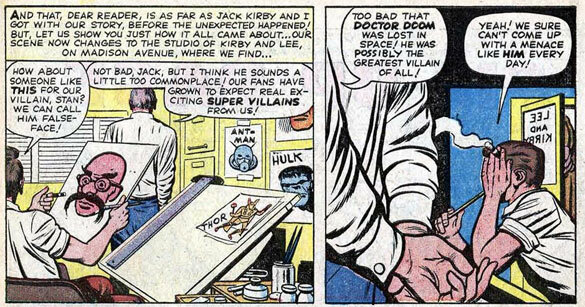 "Your door says Lee and Kirby."